Six feels a tad high, but so does the Broncos’ 2-0 record. It’s hard to believe how lucky the Broncos have been in rallying for home wins against mediocre teams in Seattle and Oakland. The Ravens are a different animal at home and have had 10 days to lick their wounds from their annual Cincinnati letdown. Pick: Ravens. Something tells me this could be closer than it’s supposed to. We’ve seen quarterbacks struggle coming back from ACL surgery (Brady, Flacco, and now Watson), and the soggy Philly weather should be an equalizer. The Colts kept the Redskins out of the end zone last week and it feels like all the pressure is on Wentz and the Birds coming off a surprising loss to Tampa Bay. Pick: Colts. If there’s one constant in life along with death and taxes, it’s the Patriots coming off of a loss. How rare is a two-game losing streak for New England? Try a grand total of SIX since 2003. That’s right, 45-6 off a loss the past decade and a half, and astonishingly they haven’t lost three straight since 2002. So don’t expect Matt Patricia’s toothless Lions group to be able to hang around long in this one. After all, this is a team that lost by 31 points at home to the Jets on opening night. And now the Patriots have Josh Gordon… Pick: Patriots. Be the first to comment on "Picks are Back! 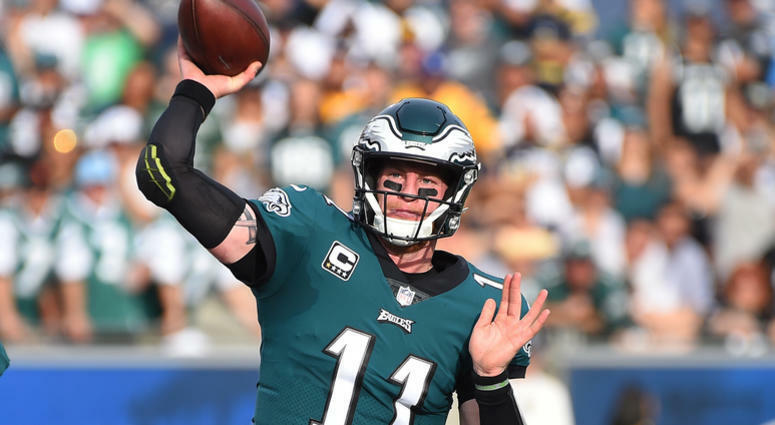 Wk 3: Wentz’s Return; Pats Rebound?"